These fashion scarves are the perfect accessory. Wear them as stunning evening wraps for that special occasion or all day for a unique burst of color in any ensemble. 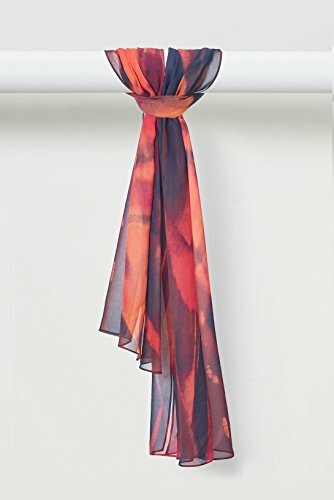 Each painterly scarf measures 17″ x 72″in pure smooth silk chiffon. Variation in printing & color are hallmarks of digital printing with natural fiber-reactive dyes. Due to the nature of the materials, no two pieces will be exactly alike.